Dr. Richardson's research focuses on understanding the formation and evolution of severe storms through both numerical modeling and observations. In particular, her numerical modeling studies investigate the influence of temporal and spatial variations in environmental shear and/or convective available potential energy on storm strength, rotational properties, and longevity. Her observational work has focused on understanding storm rotation, in particular tornado genesis and maintenance, using mobile radars to collect fine-scale observations of thunderstorms and tornadoes. Dr. Richardson was a principal investigator in the International H20 Project (IHOP) in Spring, 2002 with a focus on convection initiation and boundary layer processes using mobile radar data combined with other remote and in-situ measurements. 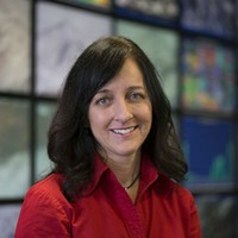 She served as a steering committee member and a principal investigator for the second phase of the Verification of the Origins of Rotation in Tornadoes Experiment (VORTEX2) in 2009 and 2010.